Starts with you; but we’re here to help! We offer the fastest, most economical industrial food composting systems that provide compost in just 5 days. Billions of pounds of food are landfilled every year. In addition to being a waste of the valuable nutrients found in food, this practice results in methane emissions, which contribute to climate change, and to leachate, which has the potential to contaminate ground and surface water. Our composting systems are state-of-the-art and made in America! Our aerobic in-vessel rotary drum composting systems are the solution to your food recycling goals. 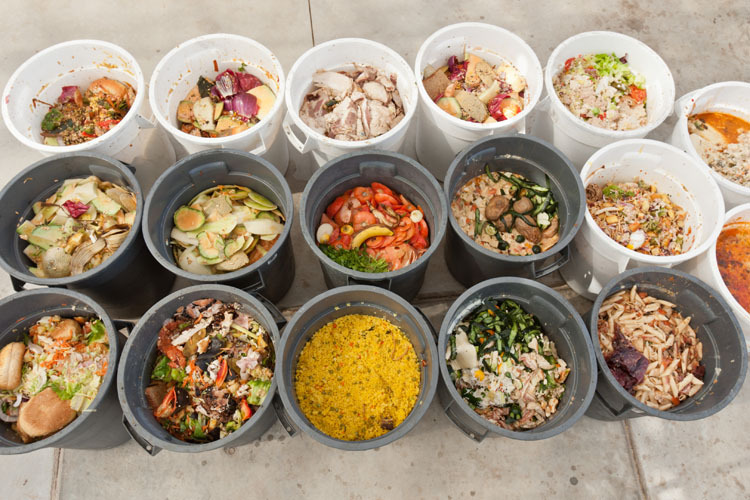 Composting uneaten food is an environmentally responsible and sustainable alternative to landfilling and incineration. Composting uneaten food using our composting systems helps to save money by avoiding disposal costs and returns the nutrients found in the food back to the soil. The composting process begins when a Bulking Agent/Carbon Source (dried wood shavings are best) is added. The composting system readily accepts most organic materials even raw and cooked meats and bones and shells. The aerobic in-vessel rotary drum is where the patented accelerated food composting process occurs. Fabricated with a stainless steel interior; the aesthetically pleasing digester is biologically and energy efficient, will not attract pests, requires very little maintenance, and is virtually odorless. It does not require any bacteria inoculants or enzymes, water, or heat. The result is mature, stable, pathogen-free, nutrient-dense compost that is ready to use immediately. When used as a soil amendment, this compost enhances depleted or damaged soils. It also reduces cost to purchase fertilizers.